Belize 1986 US Presidents sheetlet unmounted mint. 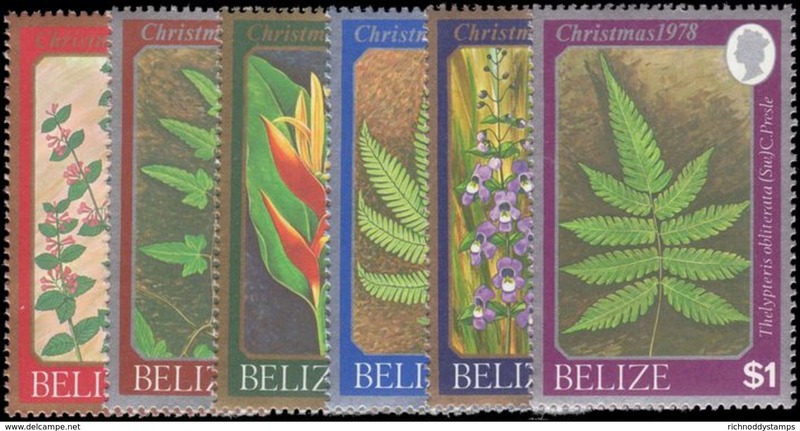 Belize 1986 Fungi sheetlet unmounted mint. 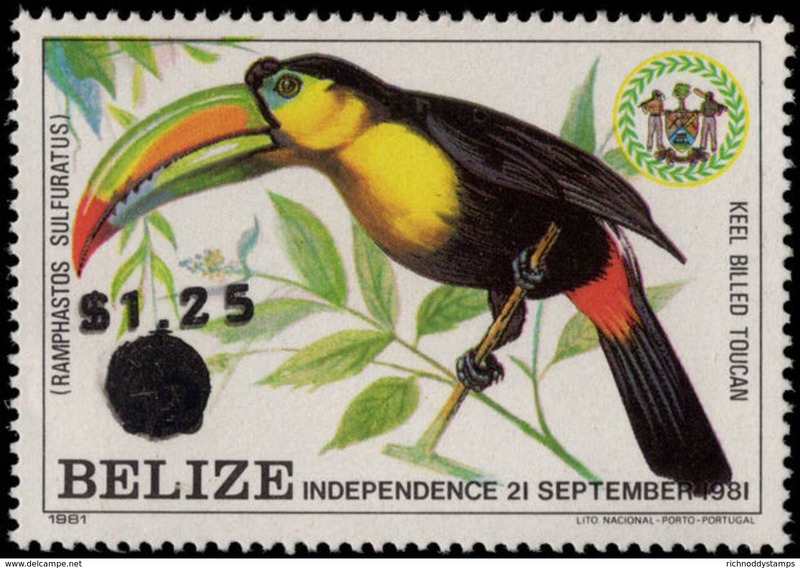 Belize 1986 Toucans sheetlet unmounted mint. Belize 1986 International Peace Year sheetlet unmounted mint. Belize 1986 World Cup Football unmounted mint. 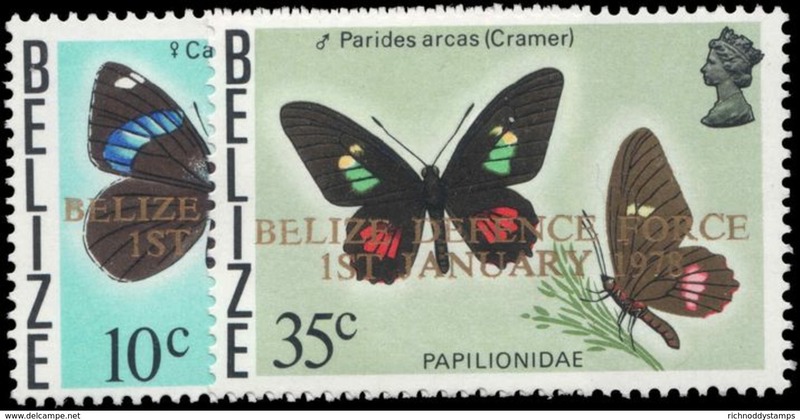 Belize 1986 Ameripex unmounted mint. Belize 1986 Statue of Liberty unmounted mint. Belize 1986 Halleys Comet unmounted mint. 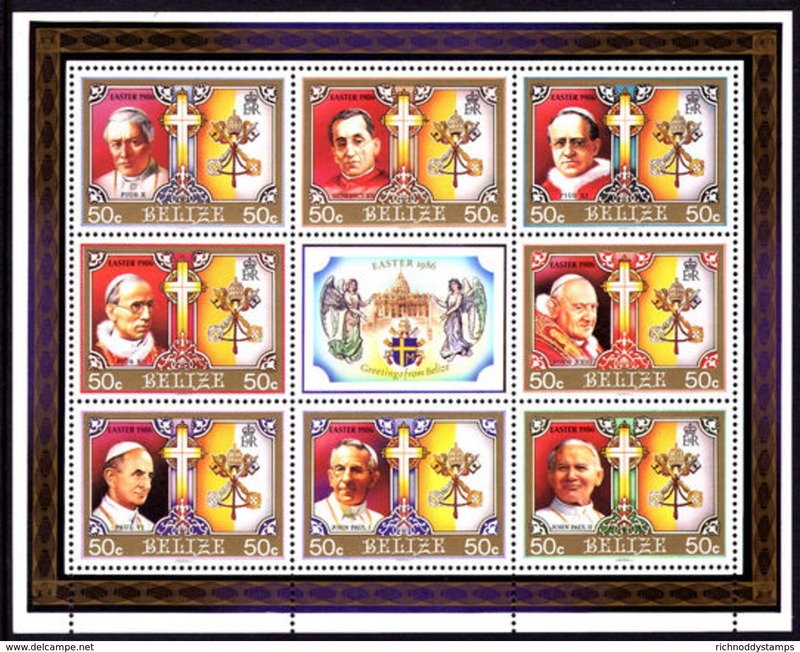 Belize 1986 20th Century Popes sheetlet unmounted mint. Belize 1985 Royal Visit unmounted mint. Belize 1985 British Post Office unmounted mint. Belize 1985 Queen Mother unmounted mint. Belize 1985 International Youth Year unmounted mint. 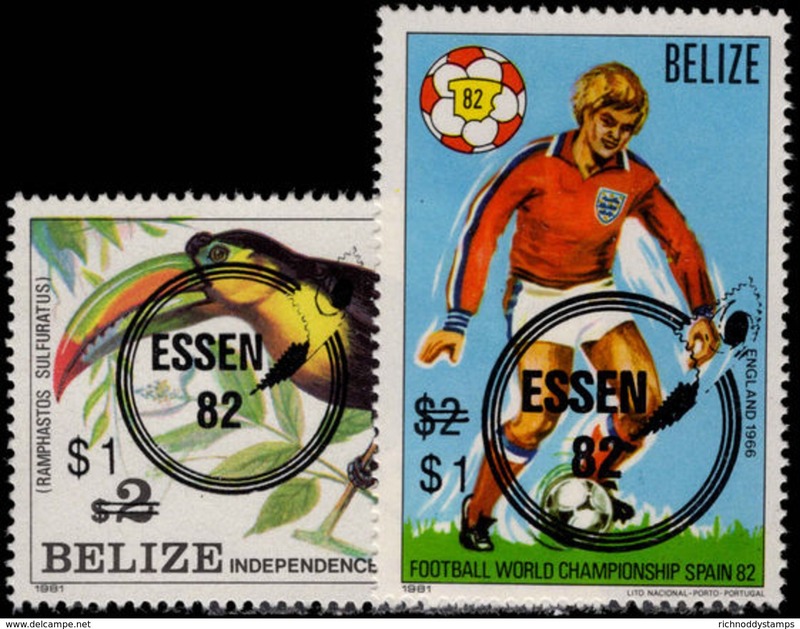 Belize 1982 World Cup Football unmounted mint. Belize 1982 Birthday gold frame limited printing unmounted mint. 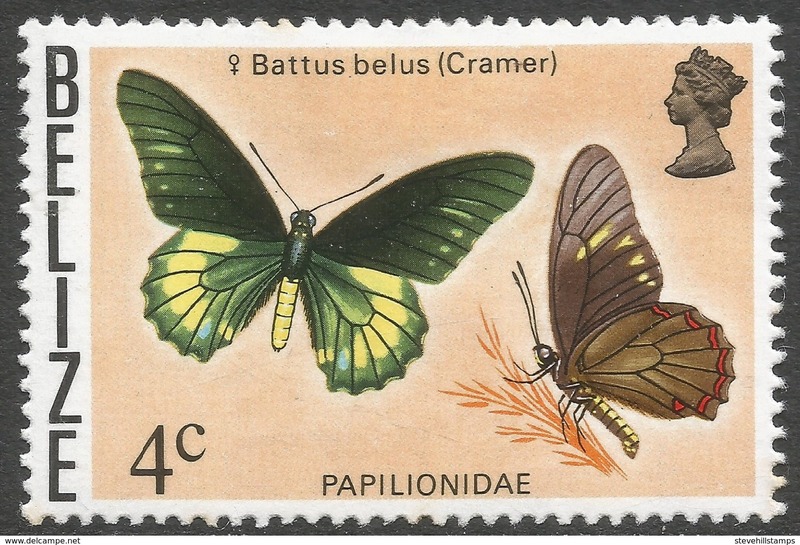 Belize 1982 Belgica 82 unmounted mint. 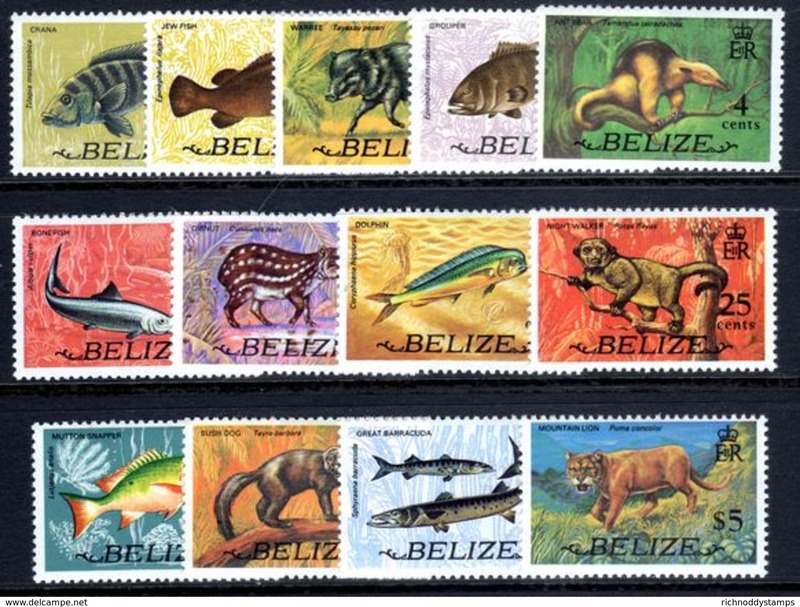 Belize 1981 Ships unmounted mint. Belize 1981 World Cup Football unmounted mint. Belize 1980 Queen Mother IMPERF unmounted mint. Belize 1980 International Year of the Child (2nd issue) IMPERF unmounted mint. 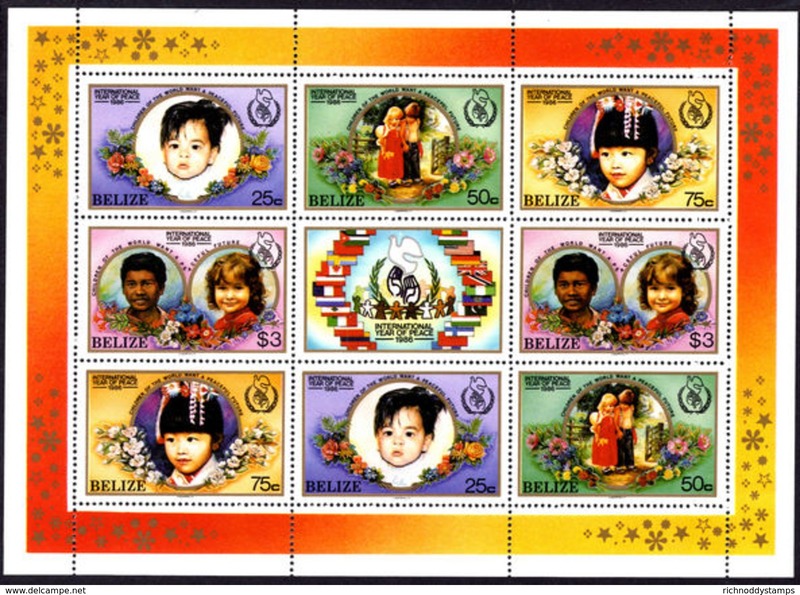 Belize 1980 International Year of the Child (2nd issue) unmounted mint. Belize 1980 International Year of the Child IMPERF unmounted mint. Belize 1980 International Year of the Child unmounted mint. Belize 1979 Winter Olympics IMPERF unmounted mint. Belize 1979 Olympics IMPERF unmounted mint. Belize 1979 Sir Rowland Hill IMPERF unmounted mint. 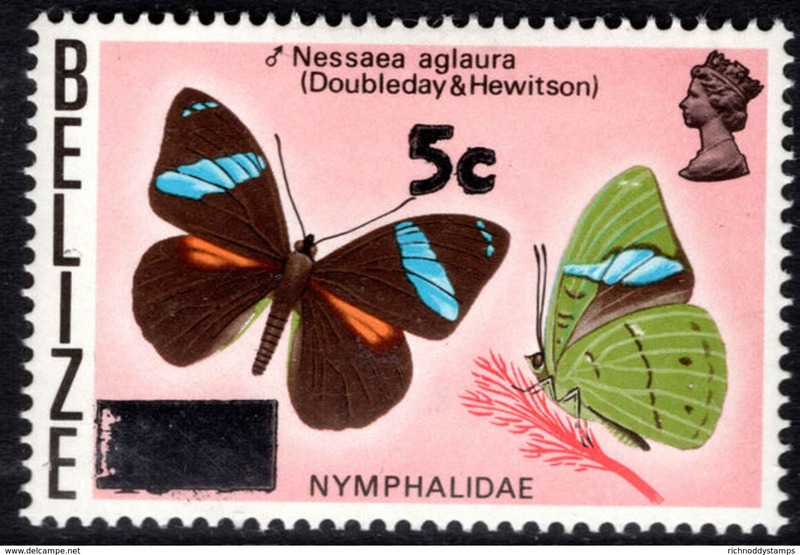 Belize 1975-78 35c Butterfly unmounted mint. 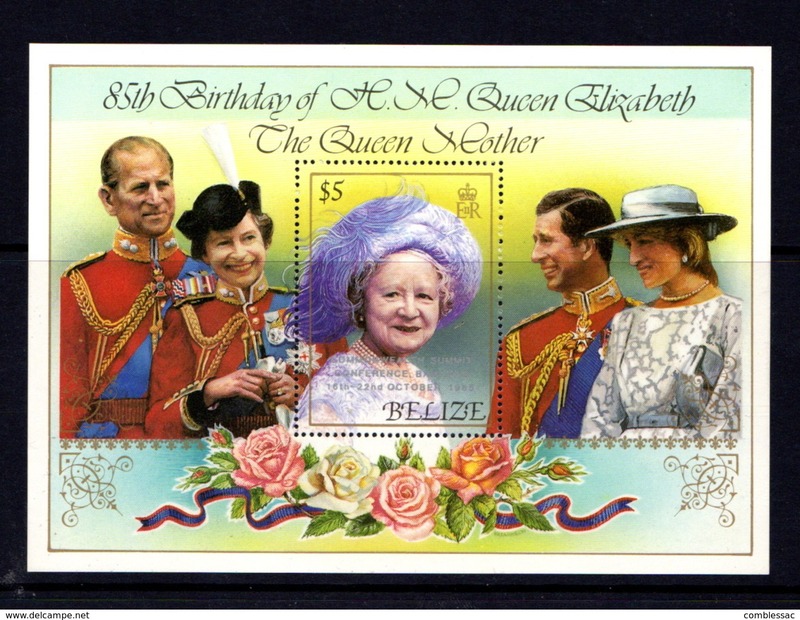 Belize 1986 60th Birthday of Queen Elizabeth unmounted mint. Belize 1983 The Jaguar unmounted mint. Belize 1982 Prince William 1st issue small format set unmounted mint. 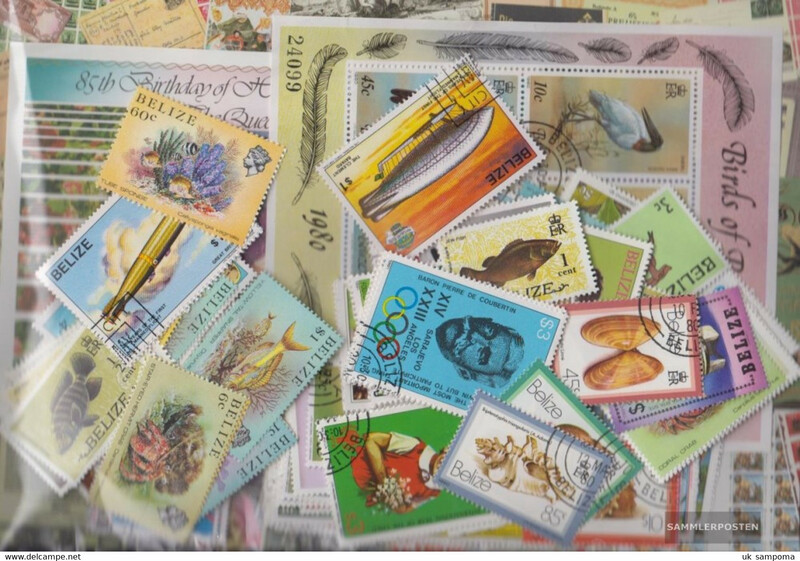 Belize 1982 Essen stamp exhibition unmounted mint. Belize 1981 Independence unmounted mint. 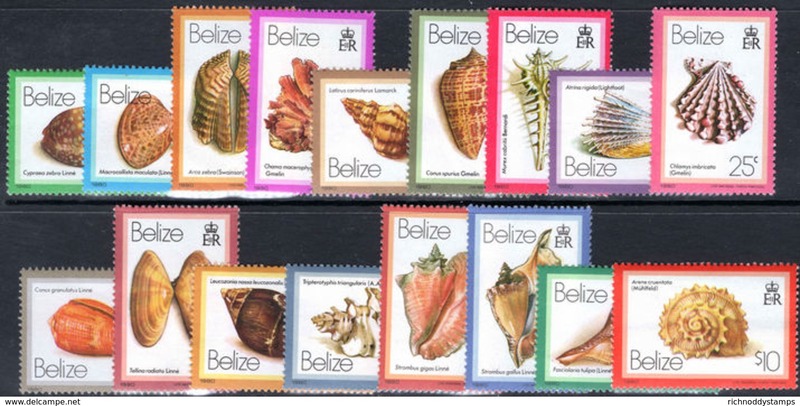 Belize 1981 Shells 1981 imprint set of 4 unmounted mint. 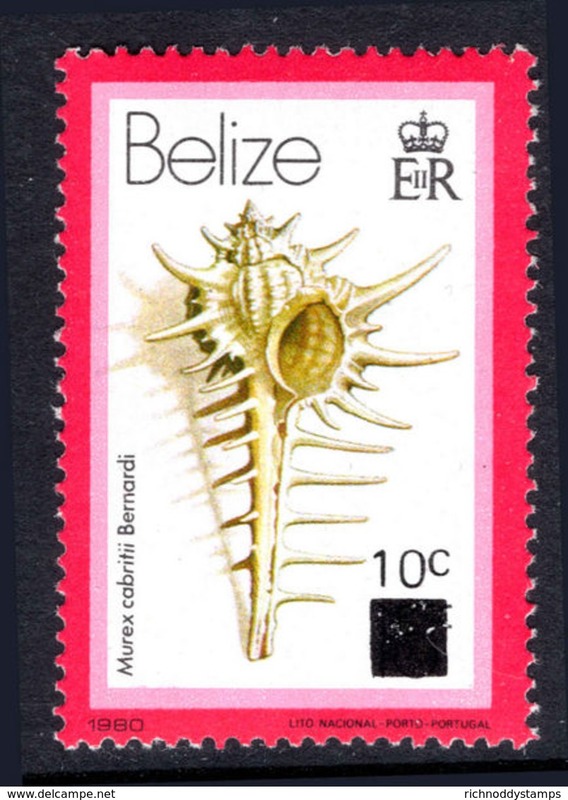 Belize 1980 Shells unmounted mint. Belize 1979 Birds unmounted mint. 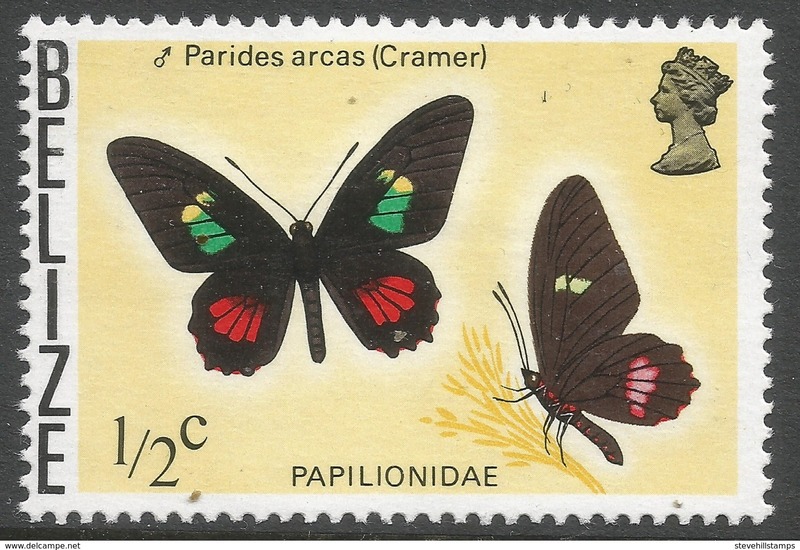 Belize 1979 UPU unmounted mint. 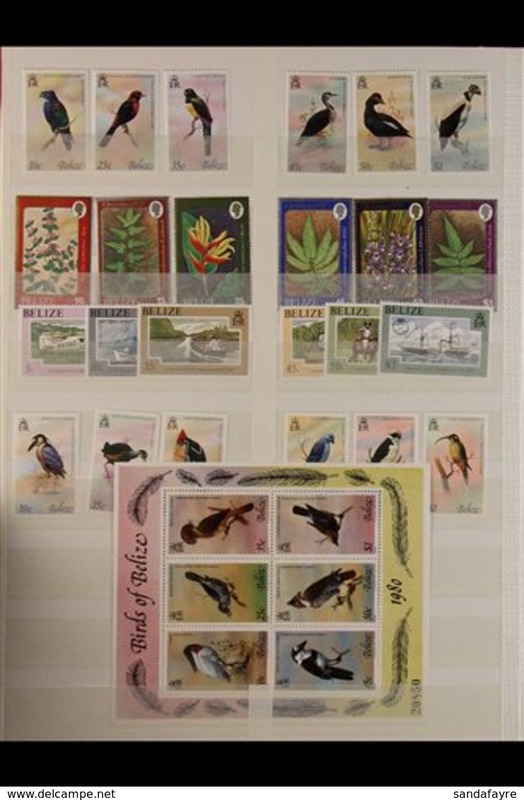 Belize 1978 Birds unmounted mint. 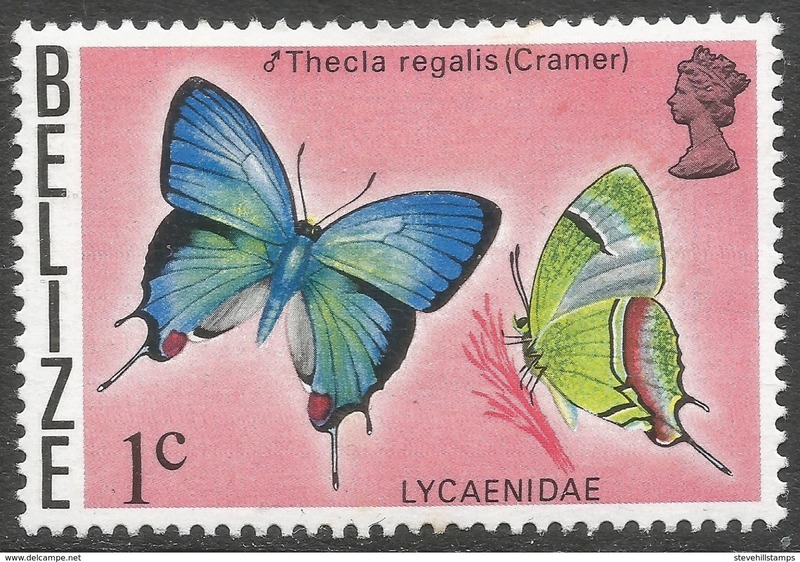 Cayes of Belize 1984 Lloyds List unmounted mint. 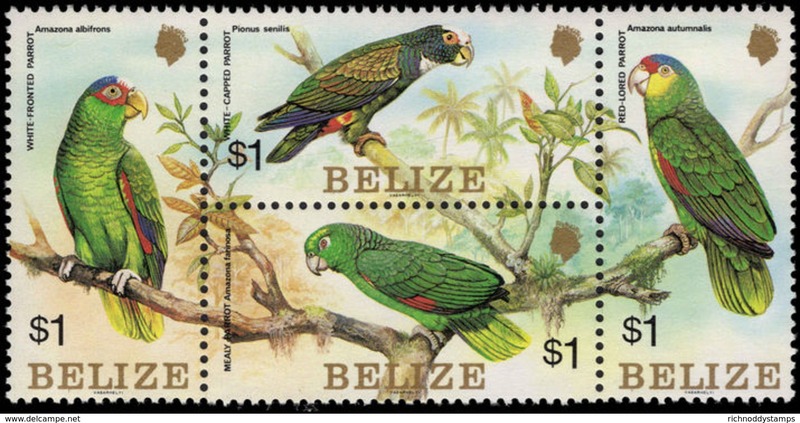 Belize 1984 Parrots unmounted mint. Belize 1983 Keel-billed Toucan provisional unmounted mint. 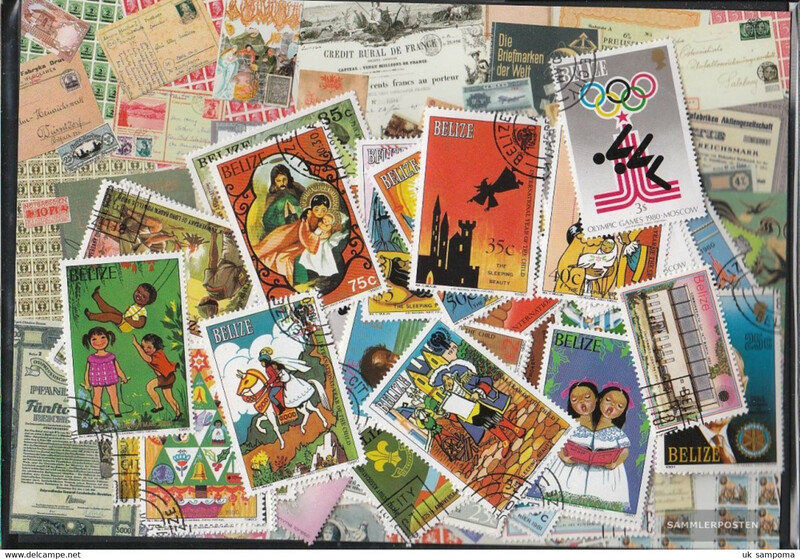 Belize 1984 Olympics sheet stamps unmounted mint. 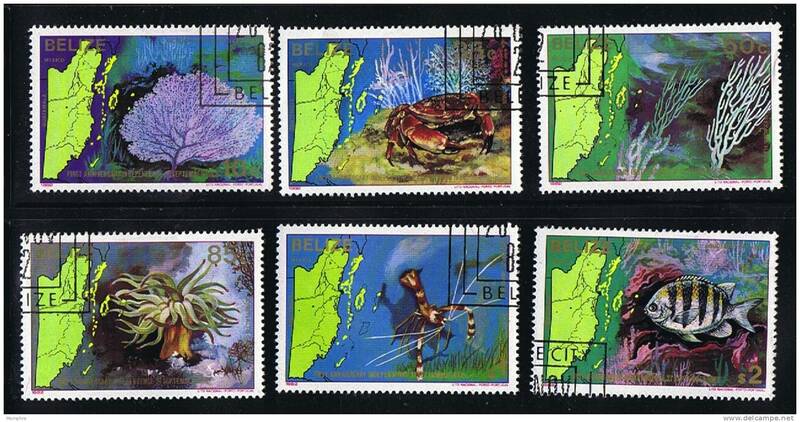 Belize 1984-88 Marine Life from The Belize Coral Reef unmounted mint. 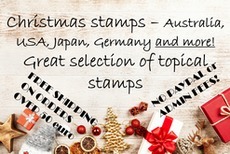 Belize 1983 Christmas unmounted mint. Belize 1983 World Communications Year unmounted mint. Belize 1983 Bicentenary of Manned Flight unmounted mint. Belize 1981-83 10c provisional with both sized overprint blocks in pair unmounted mint. Belize 1983 Commonwealth Day unmounted mint. Belize 1983 Visit of Pope John Paul unmounted mint. 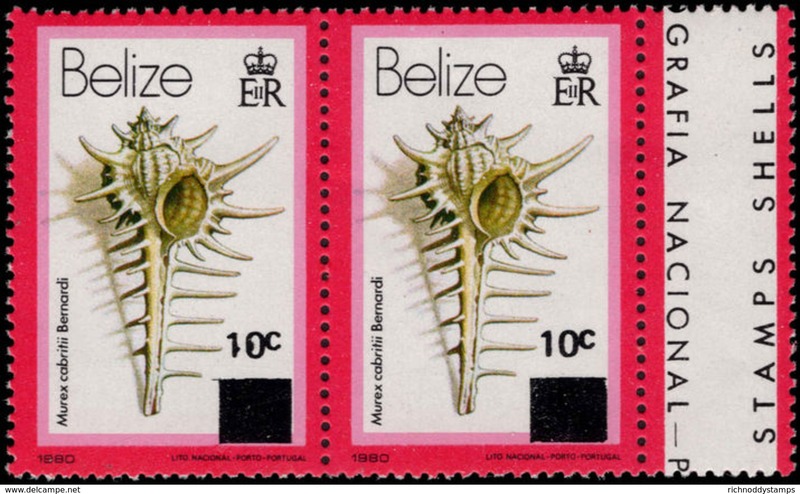 Belize 1982 Marine Life unmounted mint. Belize 1982 Lord Baden-Powell unmounted mint. 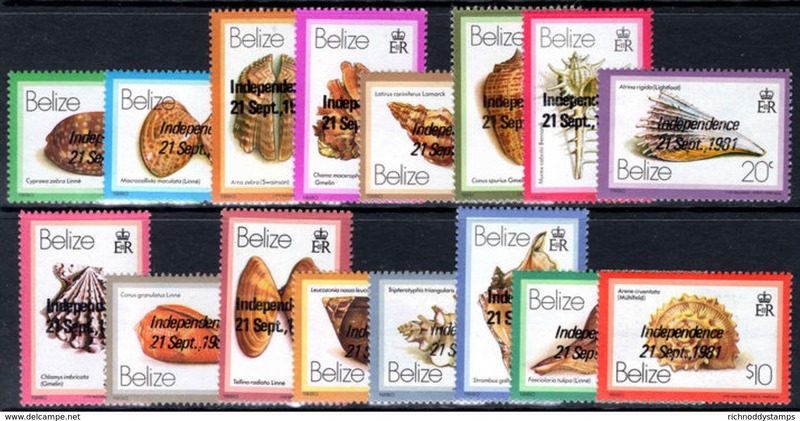 Belize 1981-82 Independence Commemoration unmounted mint. 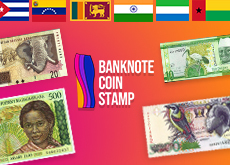 Belize 1981 block capital Independence set of 7 unmounted mint. Belize 1981 Royal Wedding large format unmounted mint. Belize 1981 History of the Olympics Games unmounted mint. 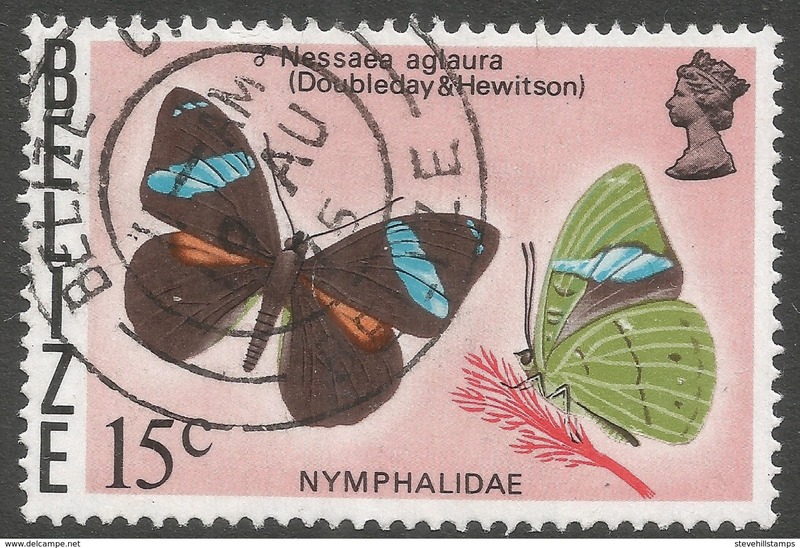 Belize 1981 WIPA stamp exhibition unmounted mint. Belize 1980 Winter Olympics unmounted mint. British Honduras 1971 Indigenous trees unmounted mint. 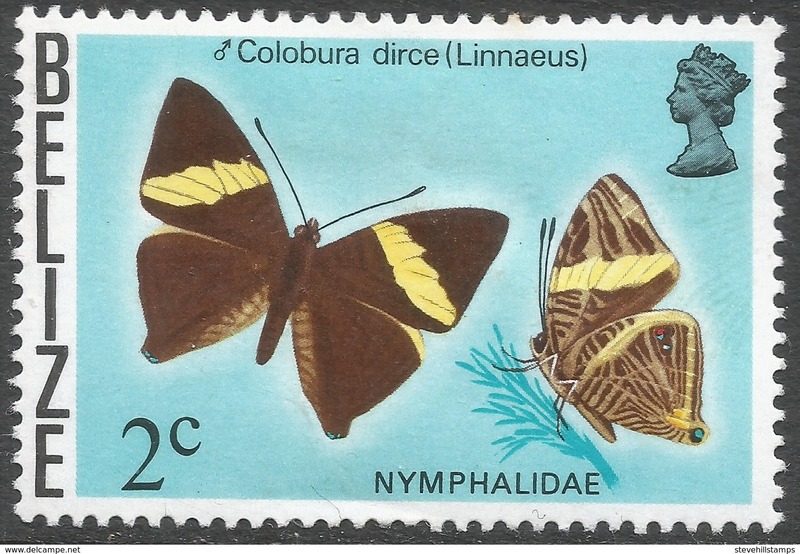 British Honduras 1968 Wildlife unmounted mint. British Honduras 1962 50c Keel-billed Toucan unmounted mint. 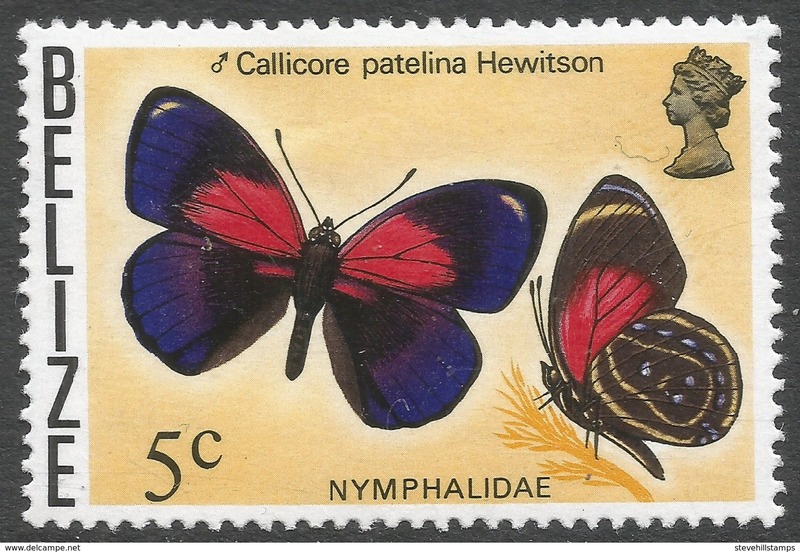 British Honduras 1962 5c Scarlet-rumped Tanager unmounted mint. British Honduras 1962 4c Great Kiskadee unmounted mint. British Honduras 1962 1c Great Curassow unmounted mint. British Honduras 1962 Birds unmounted mint. Belize 1984 Visit of the Archbishop of Canterbury unmounted mint. 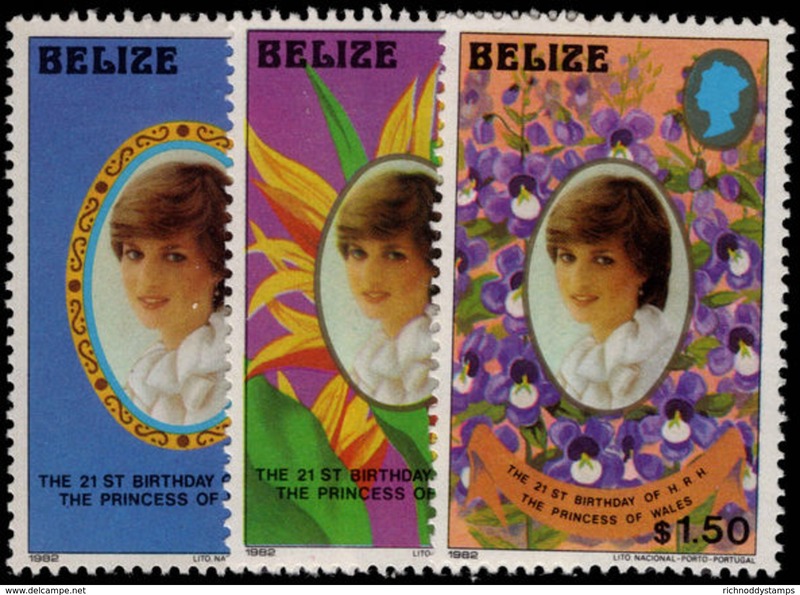 Belize 1982 Princess Diana large format unmounted mint. Belize 1982 Princess Diana small format unmounted mint. 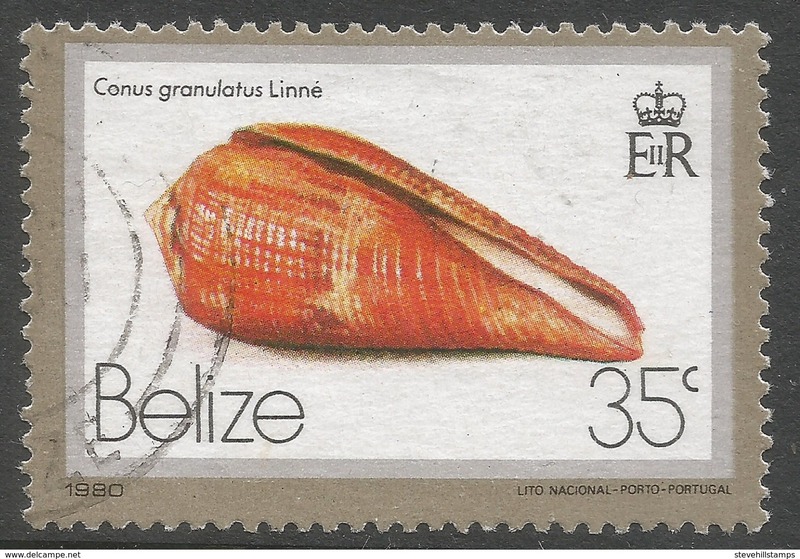 Belize 1981 Shell provisional unmounted mint. Belize 1978 Christmas. Wild Flowers and Ferns unmounted mint. Belize 1978 Belize Defence Force unmounted mint. 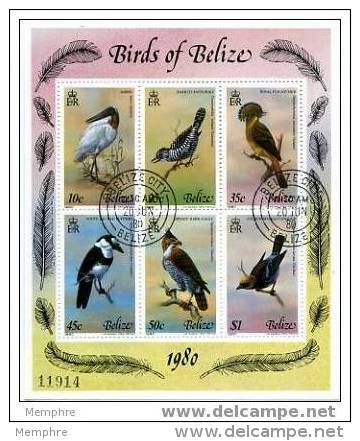 Belize 1977 Birds (1st) unmounted mint. 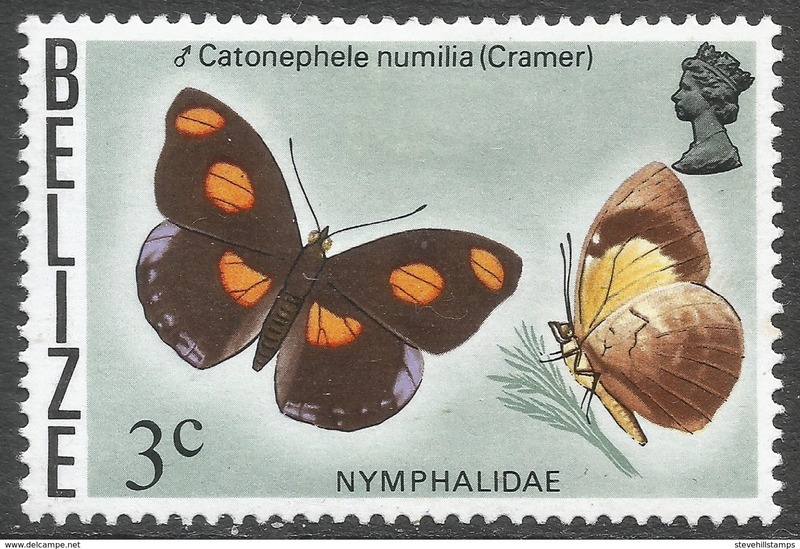 Belize 1976 5c Butterfly provisional lightly mounted mint. 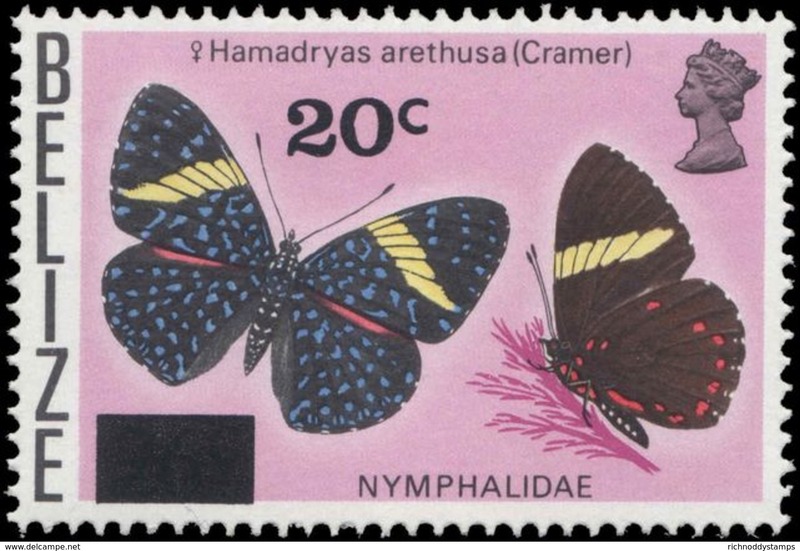 Belize 1976 Butterfly provisional lightly mounted mint. 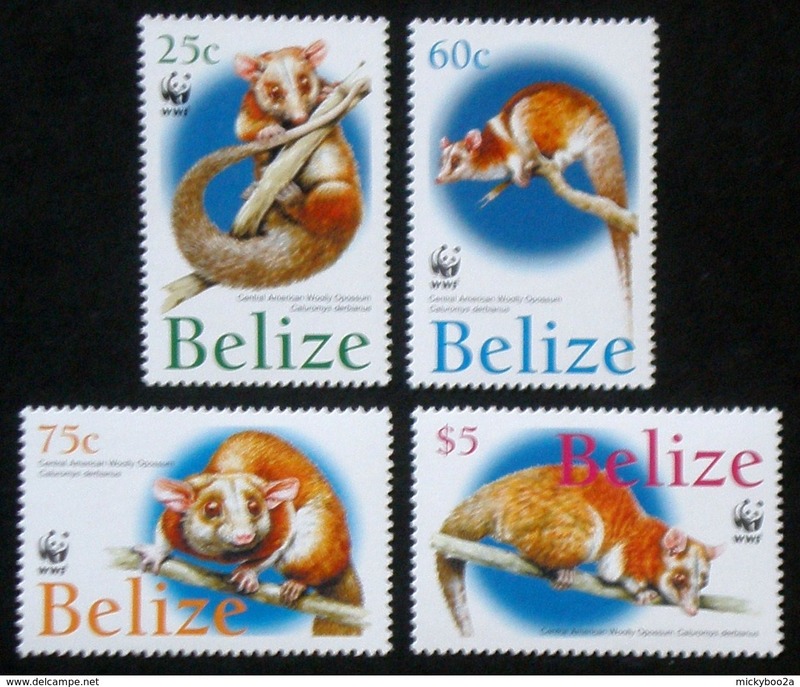 Belize 1974 Wildlife set unmounted mint. 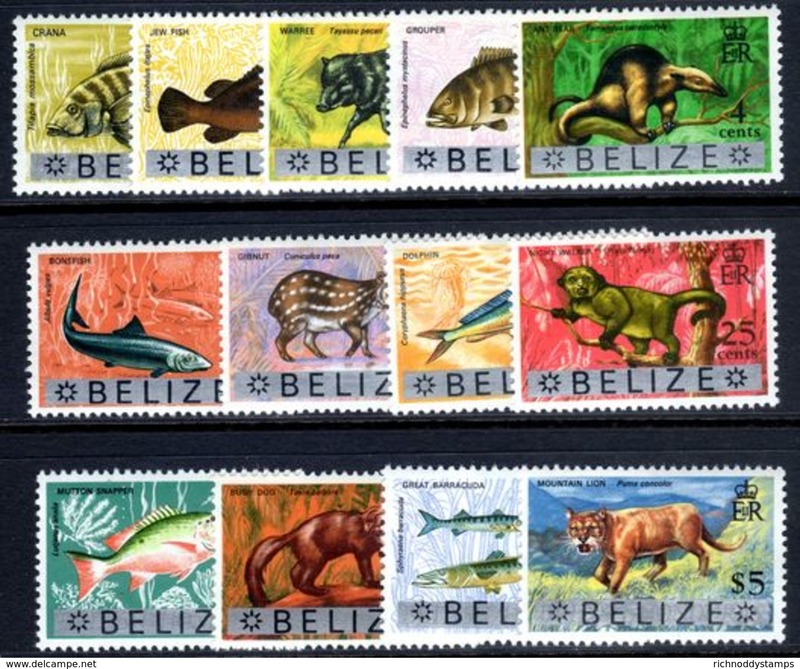 Belize 1973 Wildlife set unmounted mint. Belize 1981 Royal Wedding large souvenir sheet format first day cover. Belize 1981 Royal Wedding small format first day cover.